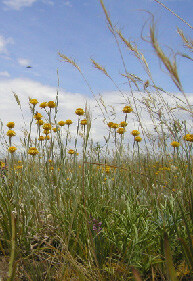 Ecosystem services are the benefits people obtain from ecosystems. In recent years they have become an important concept in science and policy arenas. This is reflected in a substantial growth in scientific research and widespread calls for integrating ecosystem services into management decisions. But how much of a contribution are assessments of ecosystem services actually making? We reviewed the scientific literature (Figure 1) and found that ecosystem service assessments are not covering all elements of the decision-making process. The assessments we reviewed were particularly poor at involving stakeholders in setting objectives and developing user-related measures of the delivery of ecosystem services. Assessments of ecosystem service have incorporated a variety of ecological, social, abiotic, land use, and economic data, although it is unclear whether this reflects a desire to better understand the social-ecological context per se (Figure 2). We observed preferences towards particular types of data for estimating different categories of ecosystem service. For example, economic data have been mainly used for provisioning services such as food or water provision; ecological data for regulating services such as climate regulation and flood control; social data for cultural services such as recreation and tourism; and land-use and land-cover data for both provisioning and regulating services. Overall, we observed a strong preference towards the incorporation of land-use and land-cover data in ecosystem service assessments. A more comprehensive evaluation of the social-ecological context would involve identifying what stakeholders wanted to know about different services and who are the potential beneficiaries. We also need to evaluate access to capital, technology and labour. These aspects ultimately determine the provision or perceived value of many services and would provide a more explict appraisal of the socio-ecological context. Figure 1: The proportion of scientific papers that address each of the core steps of a formal decision-making process. Objectives describe the outcomes that are being sought and the concerns that are being addressed for the management decision. The choice of objectives influences all aspects of the decision-making process, and it is essential that the outcomes of alternative actions be evaluated against the objectives. However, only a small number of the scientific publications have stated clear objectives (10%) and even a smaller number (8%) set objectives through stakeholder consultation. Performance measures, the quantitative expressions of the objectives that are used to evaluate the performance of alternative management actions, describe how much of a service can be sustainably consumed in relation to the supply, or thresholds for its use. Only 8% of the studies we reviewed applied performance measures and predominately this was in the form of targets for the supply of an ecosystem service. The majority of studies have quantified ecosystem services as measures of the biophysical potential of ecosystems to supply services, irrespective of its use. By definition, ecosystem services provide benefits to people and therefore measuring only the potential supply of ecosystem services will deliver only partial information. Quantification of the final services delivered to and consumed by society will provide more realistic estimates of the value of ecosystem services. We found that almost half of the papers reviewed have defined and evaluated the consequences of alternative management actions. Nevertheless only 13% of the studies we reviewed selected management actions through a process of consultation with decision-makers and other stakeholders. A consultative process of selecting and deliberating alternative actions would strengthen the dialogue with stakeholders, align the actions selected with the objective(s), and support an adaptive approach to decision-making. The sustainable and efficient provision of multiple ecosystem services is challenging. 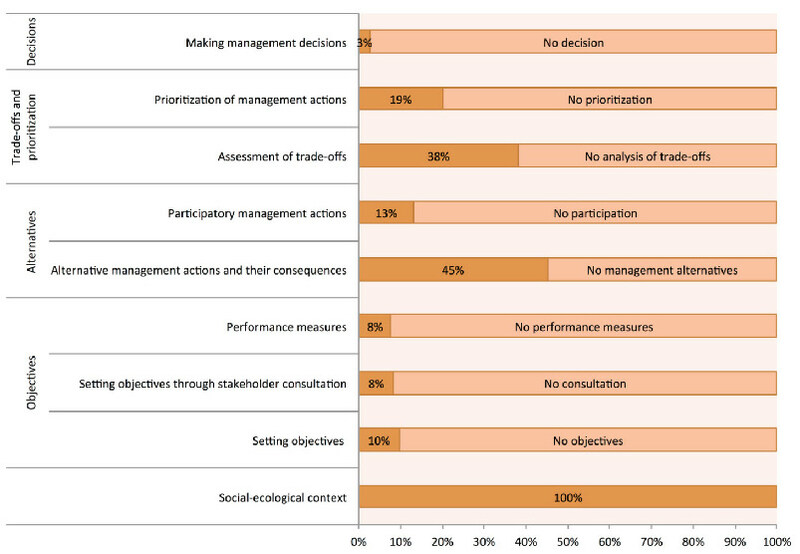 Management decisions often involve a range of possible actions and multiple stakeholder perspectives and there is likely to be trade-offs between outcomes and potentially negative impacts. We identified that 38% of the studies we reviewed attempted to investigate synergies and trade-offs associated with ecosystem services. However, most of these studies focused on evaluating the spatial correlation and overlap between ecosystem services. Such assessments do not provide information about the trade-offs that arise as a consequence of implementing alternative management actions. We also found that only 19% of the studies reviewed have systematically assessed how resources should be allocated to alternative actions. Prioritization approaches offer new opportunities in this regard by providing information on desirable spatial locations and temporal timing for implementing alternative management actions given available resources. A decision occurs when an alternative action is selected and implemented through its internalization in policy, plans or an institutional arrangement. It is typically operationalized as some form of regulation or incentive. In the literature reviewed a diversity of potential decisions have been identified, including the use of financial incentives such as payments for ecosystem services, governance-based instruments, and the application of conservation strategies such as acquiring land. However, only 3% of the scientific papers reported the on-ground implementation of an action. This demonstrates a gap between academia and decision-making in the real world. used to model different types of ecosystem services. To bridge this gap, future efforts should capture the overall decision-making process. Such efforts should focus on articulating the objectives, identify the performance measures, and then deliberate on the alternative actions. Management decisions relating to ecosystem services should also be underpinned by the best available science and account for the values and preferences of stakeholders. Deliberative and participatory methods could facilitate this and enable the opportunities and constraints for effective management to be identified. We see these as key ingredients for the ecosystem services paradigm to gain maximum traction in science and policy arenas. Martinez-Harms MJ, B Bryan, P Balvanera, E Law, J Rhodes, H Possingham & KA Wilson (2015). 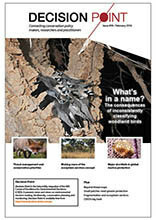 Making decisions for managing ecosystem services. Biological Conservation 184: 229–238. doi:10.1016/j.biocon.2015.01.024. Who says ecosystem services are important? Ecosystem services can be broadly defined as the processes and conditions derived from ecosystems that sustain and enhance human wellbeing. Concern over the degradation of ecosystem services has been increasingly reflected in international environmental policy. For example, several international initiatives have raised the ecosystem services paradigm to the attention of both scientists and policy makers. These included the Millennium Ecosystem Assessment (MEA), the Convention on Biological Diversity CBD), The Economics of Ecosystems and Biodiversity (TEEB) and The Intergovernmental Science-Policy Platform on Biodiversity and Ecosystem Services (IPBES). Over the past two decades there has been a rapid growth in research related to ecosystem services and widespread calls for integrating the ecosystem services paradigm into real-world management decisions. However, our research suggests we still have some way to go in comprehensively addressing this issue.